Here are some of the most frequently asked questions about our lottery program. Q: Why has The Donna Louise launched a new lottery programme? A: It costs us around £3.5 million every year to provide vital support to local families. We get around 12% of this from government sources, the rest of the money we need each year comes from fundraising and our very generous supporters. 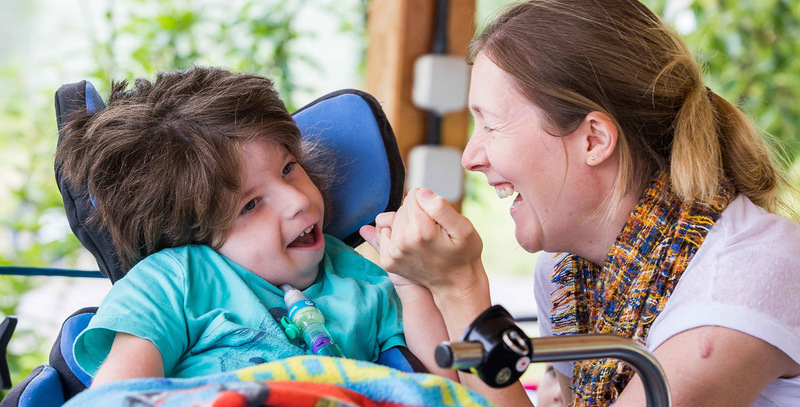 With ever-increasing demand for our services, the profits from our lottery programme will help ensure that we can be there every step of the way for families, without that support costing them a single penny. A: It costs £1 per entry per week. Q: How much of the money will The Donna Louise receive? A: 73p for every £1 played comes straight to The Donna Louise, the rest is used to cover the prize fund and administration costs. A: 1. Choose whether you want one or two £1 chances each week. 2. For each £1 you play (less than the price of a cuppa in your favourite café! ), you’ll be allocated a unique six-digit number which is yours for as long as you wish to keep playing. 3. Choose whether your direct debit is collected monthly, quarterly, half-yearly or annually. 4. If your numbers come up on a Saturday, we'll let you know you're a winner and deposit your winnings in your account! For full rules and further explanation on how lottery numbers are chosen, visit https://lottery.thedonnalouise.org/lottery-rules. Q: When does the draw take place? A: The Donna Louise Lottery is a weekly prize draw, taking place at 6:45 pm CET every Saturday. • Regular players will be entered into the Super Draw each month where, if they match 6 numbers, £25,000 will be received by the member and £25,000 by The Donna Louise. • If you play every week you will also be entered into a bonus draw every month and be in with a chance of winning a short break for two. Q: What are my chances of winning? A: 1 in 63 players wins a cash prize every week! Q: How will I find out if I have won? A: Results are published on the lottery website https://lottery.thedonnalouise.org/results and all winners are by either phone or email if we have those details or by post if we don’t. Q: How can I sign up to the lottery? A: You can sign up online at lottery.thedonnalouise.org or through one of our lottery promoters who will be going both door-to-door within the areas we serve or at public sites such as shops, banks and events. Q: Why has The Donna Louise chosen to pay a company to help recruit lottery players? A: We aren’t unusual in this. Many charities use a professional fundraising agency to help them raise as much money for the charity as they can. The Donna Louise is proud to be working with SEC Fundraising to help make our lottery the best it can be. Our lottery team are paid by SEC Fundraising and will recruit new players by going both door-to-door within the areas we serve or at public sites such as shops, banks and events. Our lottery team are held to the highest code of conduct and are delighted to be working in partnership with The Donna Louise. Q: How much money has The Donna Louise invested with SEC Fundraising? A: The Donna Louise will invest around £117,000 over the next 3 months but expect this investment to generate between £540,000 and £676,000 in funds for the charity over the next 4 to 5 years. Fundraising through the lottery is very effective for The Donna Louise and enables us to support hundreds of families each year. Our trustees are obliged to ensure that our funds are used in the most effective way possible to deliver our care and therefore our fundraising is carefully monitored to ensure cost-effectiveness and value for money. Q: How do I know the person calling at the door is legitimate? The names and photographs of all our Lottery Promoters can be found on our website, but if you would like to check a promoter’s details, please call the fundraising team on 01782 654444. Q: What approach do your Lottery Promoters use? A: Our Lottery Promoters encourage people to sign up to our lottery because they want to make a difference in the lives of local families. We want people to be left with a positive image of us and a desire to support our work for many years to come. We do not condone high-pressure sales tactics. We train SEC Fundraising staff in the values and ethics of The Donna Louise and they are expected to live up to them whenever they are working on our behalf. SEC Fundraising staff are provided with and work to a Fundraising Code of Conduct and meet all the standards of gambling regulation. SEC Fundraising have a strict vulnerable persons policy in place and always follow all the latest legislations in the industry. Q: What will the Lottery Promoters ask for? A: The team use a small tablet to sign people up to the lottery which ensures your details are kept safe and encrypted from the moment you sign up. Signing up to our lottery via Direct Debit is the most cost effective method for us to administer and the regularity of payments helps us plan effectively for the future. Our Lottery Promoters will never ask for cash or cheques. If you would prefer to make a one-off donation, you can donate via our website at www.thedonnalouise.org or by calling 01782 654444. Q: How secure is my donation and my personal details? A: Every day we handle the details of hundreds of people and treat security as a top priority. Our Lottery Promoters are not allowed to collect cash, to protect both you and The Donna Louise. We will only use the financial information that you have given us on the Direct Debit mandate forms to collect the contribution you’ve agreed to from your account. We won’t use it for anything else, as outlined under the Data Protection Act 1998. Q: Will you pass my details on? A: No, don’t worry. We comply with the Data Protection Act 1998 and won’t pass your details on to any third party who isn’t working directly on our behalf. Q: Is there anyone else involved? A: Managing thousands of direct debits and a weekly prize draw is a complex operation. We therefore employ a company called Capen Ltd, trading as Zaffo, to act as our External Lottery Manager. They manage the weekly prize draw and all administration of our lottery programme on behalf of The Donna Louise. Capen are licenced by the Gambling Commission, licence number 000-036257-R-317724-003 and adhere to a very strict code of conduct. Q: Do your Lottery Promoters visit houses in No Cold Calling areas? A: We do not enter any No Cold Calling Zones that are legally set up in collaboration with the Trading Standards Board, as outlined in the Institute of Fundraising’s Code of Best Practice. We also will not call on houses with 'no cold calling' or 'no charity callers' clearly signed in the door or window. Q: Isn’t this encouraging problem gambling? A: Our lottery is a small society lottery and is designed to be played for fun. The maximum number of entries The Donna Louise will allow through any of its recruitment channels is three entries per week (£3). All of our promotional materials carry either the website or a phone number where people can get help and advice regarding problem gambling. Q: I think I may have a problem with gambling, how can I get help? Q: I’ve signed up – but what if I’ve changed my mind or my bank details change? Q: What happened to the All Stars Lottery? A: Absolutely nothing. Our lovely friends at Stoke City Football Club have been running the All Stars Lottery for The Donna Louise for several years now and have raised over £250,000. They will continue to run the All Stars Lottery and raise money for The Donna Louise, so if you are already a member of the All Stars Lottery, you don’t need to do anything different – thank you for your continued support!